Leave plenty of time to stroll through our newest outdoor garden. A natural complement to the U.S. Botanic Garden, the National Garden highlights the amazing diversity of American plants. The three-acre National Garden draws inspiration from the environments of the Mid-Atlantic region. Conceived as an outdoor laboratory for gardening in harmony with natural ecosystems, the Garden opened in the fall of 2006. 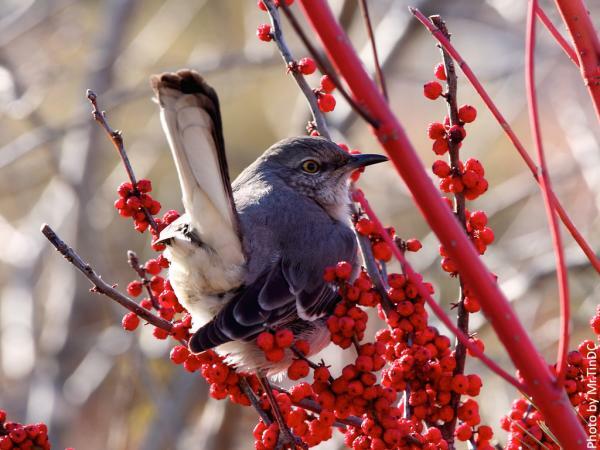 The Regional Garden features Mid-Atlantic native plants that highlight the beauty of the region's flora. The Rose Garden is an ongoing experiment, showcasing roses that thrive in the Mid-Atlantic when grown using organic methods. The Butterfly Garden demonstrates how gardens provide vital resources for pollinators. The First Ladies Water Garden honors the contribution of our nation's First Ladies. The Lawn Terrace functions as a welcoming area for outdoor tours, festivals and summer classes. The Amphitheater is an outdoor gathering place for educational programs. 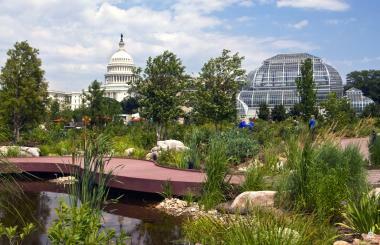 It also provides a spectacular view of the U.S. Botanic Garden Conservatory and the U.S. Capitol dome. The National Garden is designed to satisfy the gardener and the garden lover. As with any garden, over time it will evolve as plants mature, compete for space and succumb or thrive in changing conditions. From this urban oasis, experience the beauty and power of nature, while enjoying the inspiring vistas of Capitol Hill. Explore the National Garden's history as we celebrate its 10th Anniversary in 2016! Construction on the National Garden began in October 2001. Five years later, the National Garden opened to the public on October 1, 2006. It provides "living laboratories" for environmental, horticultural and botanical education in a contemplative setting. 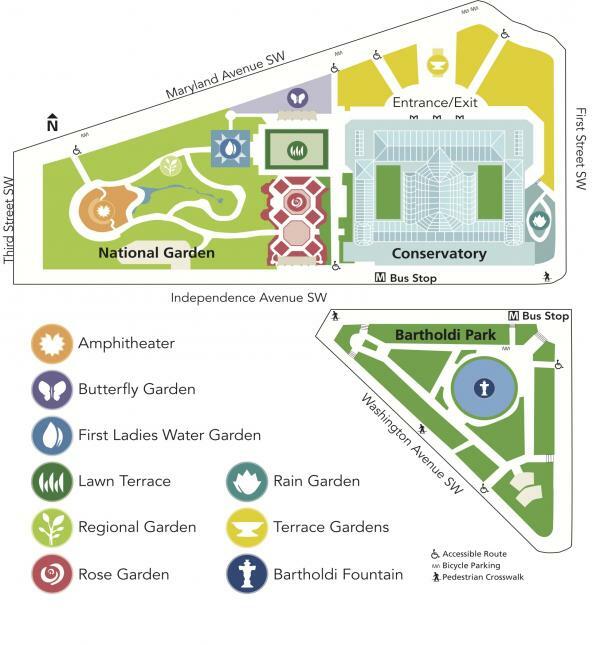 The National Garden is the result of a successful collaboration among the U.S. Congress, the Joint Committee on the Library, the National Fund for the U.S. Botanic Garden, the U.S. Botanic Garden and the Architect of the Capitol. Not only is the National Garden a wonderful oasis on Capitol Hill, this feature of the U.S. Botanic Garden will also be a national treasure for generations to come. 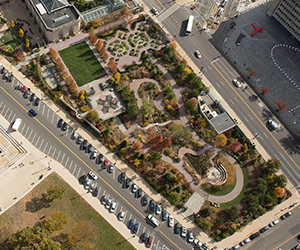 The National Garden, pictured fall 2013.